The client a Care Home owner contacted us requesting a scheduled tree safety survey as the previous supplier failed to return his calls. Ace of Spades Consultancy was invited to carry out a tree safety survey upon a significant, large beech tree located at a care home in central Fakenham, Norfolk. The area surveyed is a private residential care home occupied by many elderly residents, visitors and staff within central Fakenham. The purpose of the safety survey was to determine the tree safety from failure as many targets such as a roadway, car park and nearby care home buildings were within falling distance. 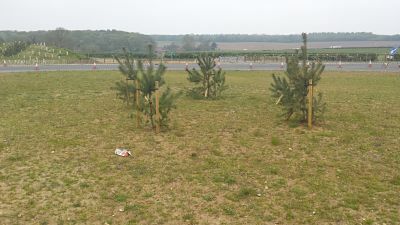 At the time of the survey it was noted that the tree due to its poor location within a walled roadside planting bed were causing structural damage. The tree roots were causing a large boundary wall to collapse onto a footpath and road. This had been going on for many years. The Beech tree was situated in the car park frontage of the property. The Surveyors visual inspection enabled him to determine the condition of the tree with regards to the potential impact on the health and safety of users of the site and members of public who used the road adjacent to the care home. The tree safety survey highlighted the need for immediate action required to rectify serious health and safety issues. Which had been missed by the previous survey supplier This included determining any hazard and/or risk which the tree presents and prioritise this with regards to the potential for future damage or injury. Once all checks had been carried out our surveyor recommend an appropriate course of action for tree removal as the tree was creating a nuisance from where it was at present. Having carried out the survey, failure to proceed with the tree work could potentially have resulted in a law suit against the property owner should an accident or fatality have occurred because of falling branches or collapse of the wall. Trees are self-evolving organisms, they are subject to change in their shape. Trees also react more immediately to significant storm events, such as extreme weather and heavy snowfall. It was recognised that the tree was potentially hazardous which could affect people and property. •	Across from the tree was access to a pub car park. •	Situated on the grounds was a care home within a large garden. •	In front of the tree was a very busy public highway and pavement. The root zone of the tree was restricted to the small mound on which it stood. Its spread was impeded on all sides by hard landscaping surfaces such as tarmac and paving. The road which was in front of the tree had frequent movements of vehicles which suggests one reason why the tree was struggling to absorb water and nutrients. The pressure from the tree roots caused the wall to crack and bow. This would have potentially lead to the wall collapsing. Due to the trees condition and location, and its proximity to so many potential targets it made this job challenging. We recommended that the tree work should be implemented as soon as possible due to its state of deteriation posing a risk to the public. The tree being significant within the town centre landscape was rightly protected with a tree protection order. Following a planning application consisting of a safety survey report, arboricultural structural damage report, climbed safety survey and engineers report agreement was reached with the local planning authority to remove the tree. And plant a replacement. The Ace of Spades contracting team were then called in to carry out the recommendations from the report. Prior to proceeding with the work, a site-specific risk assessment was completed and submitted to the property owner, the contracting team had to make sure the owners were aware that all cars had to be moved to a safe spot. A safe pathway was created for people who wished to pass through while work is being completed. However, they were informed that if they were to walk through the safety zone that they communicate with the team before doing so, to ensure safety. The first stage was to sever the ivy at the base of the tree, by doing so it allowed closer examination. Deadwood was to be removed throughout the crown. The crown was lifted over the highway, footpath and car park to facilitate ease of access. over 2 days the road only had to be closed for a few hours each day. ‘Stop’ and ‘Go’ signs were used to stop the busy traffic while these acts were carried out. In order to get the branches down from the tree, rope had to be used to avoid free falling branches which would be dangerous. While working on the tree the Ace of Spades contracting team used a wide range of equipment to ensure the job was time efficient and to the standard required. As the positioning of the tree was within the centre of town, many intrigued members of the public stopped to watch the work being carried out.